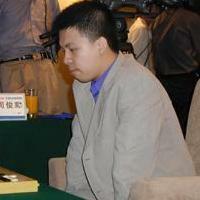 I think that Zhou, 9-dan lost that game because he wanted to make a sensation. I am weaker than Zhou (we played several years ago and I lost by 8.5 points), but I am sure, I can beat this program on 7 stones! Check zen19 on KGS, it's already 1-2 dan level. woah..mogo certainly played some good moves. didn't know it's this good already.